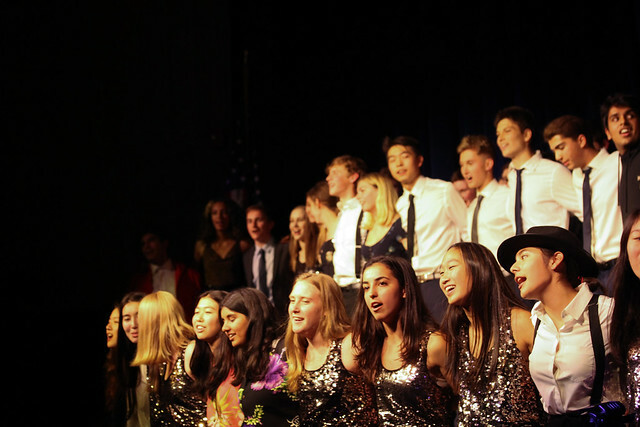 In one of Prep’s most longstanding and beloved traditions, the Class of 2020 treated their parents to an evening of entertainment on November 17. The night kicked off with dinner served to the parents by the junior class. Afterward, parents assembled in Norris Auditorium for a “Late Night”-themed show. Junior emcees Charlie McCormick and Kevin Ashworth led the way, introducing acts throughout the show and including their own bits in between. The 19 acts of the evening ranged from dances to lip sync, standup comedy to a capella. Highlights included a group dance to “We’re All in This Together” from High School Musical and a group lip sync battle. The 2020 crew followed up the evening with a special second JPD performance the following week at an assembly during Alumni-in-College Open House to an audience of students and visiting alumni.